The new Marianne was inaugurated by President Macron at the "quartier du bas-Toulon", in Périgueux, Dordogne ( where we live!) last week. It is a street art creation painted by the artist YZ and it's called "Marianne, l'engagée". La Marianne symbolizes the French Republic and embodies the motto of France " Liberté, égalité, fraternité". She wears the "bonnet phrygien" symbolizing the French revolution of 1789. Every 5 or 6 years, she has the face of a new French celibrity. For example, in 1968, Brigitte Bardot served as the model and in 2012 it was Sophie Marceau. This time, President Macron broke the tradition and chose a more modern representation, a street art creation that shows determination and feminity. 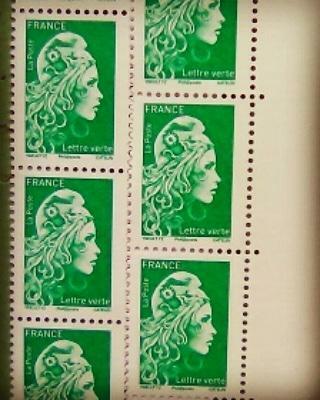 Marianne is represented on the French stamps, coins, and you can find her statue in the town halls and official buildings.